Luke Falk and Cole Madison will participate in the Reese's Senior Bowl game in January in Alabama. The Senior Bowl is the pre-eminnent senior all-star game for college prospects hoping to get a shot at the NFL. 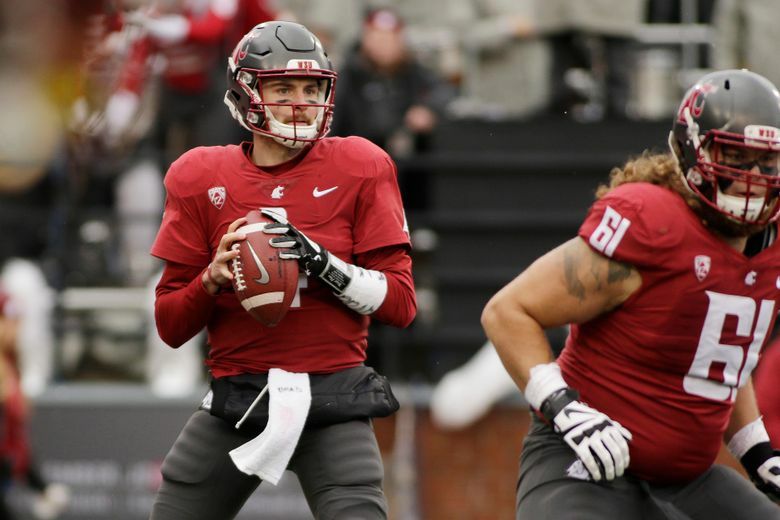 Washington State quarterback Luke Falk and his right tackle, Cole Madison, have both accepted invitations to the Reese’s Senior Bowl, the bowl announced Monday. This guarantees that WSU will have at least two representatives at college football’s pre-eminent all-star senior showcase game that will be played on Jan. 28, at Ladd-Peebles Stadium in Mobile, Ala.
No Cougars were invited to the 2017 game, though, offensive lineman Joe Dahl participated in the 2016 bowl game a few months before he was selected by the Detroit Lions in the fifth round of the 2016 NFL Draft. Falk was one of the first four quarterbacks to accept invitations to January’s Senior Bowl. The others announced on Monday were Virginia’s Kurt Benkurt, Richmond’s Kyle Lauletta and Western Kentucky’s Mike White. At 6-foot-4, 223 pounds, Falk has the prototypical height of an NFL pocket passer, but is considered a bit slender for his frame. He’ll finish his WSU career as the Pac-12’s all-time leader in passing yard and touchdowns, but will have to prove to NFL scouts that he can adapt to a pro-style offense after playing in Mike Leach’s Air Raid for five years. The Senior Bowl provides the perfect opportunity for him to do so. The week-long event in Alabama is essentially a job fair for NFL hopefuls. Eric Galko, an NFL draft analyst for Optimum Scouting and The Sporting News, said in an interview with The Seattle Times last month that Falk is considered a potential franchise quarterback prospect, but will have to question some questions about his ability to process information and adapt on the fly. 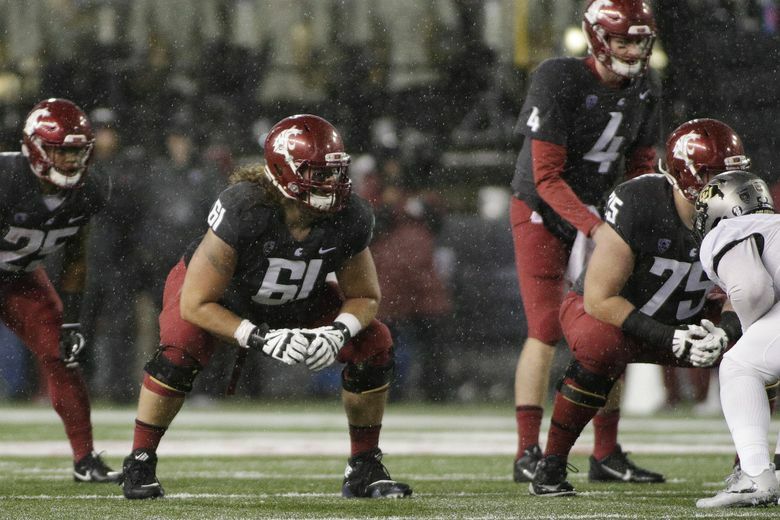 For Madison, WSU’s ironman right tackle who has started in a team-high 46 career games, the Senior Bowl will be a chance to feel out where he might play at the next level: at tackle, as he did in college, or at guard, where Dahl – formerly a WSU left tackle – ended up with the Lions. WSU offensive line coach Clay McGuire said in an interview earlier this fall that Madison is athletic and versatile enough to play either position in the pros, but that he might have to start out at guard.